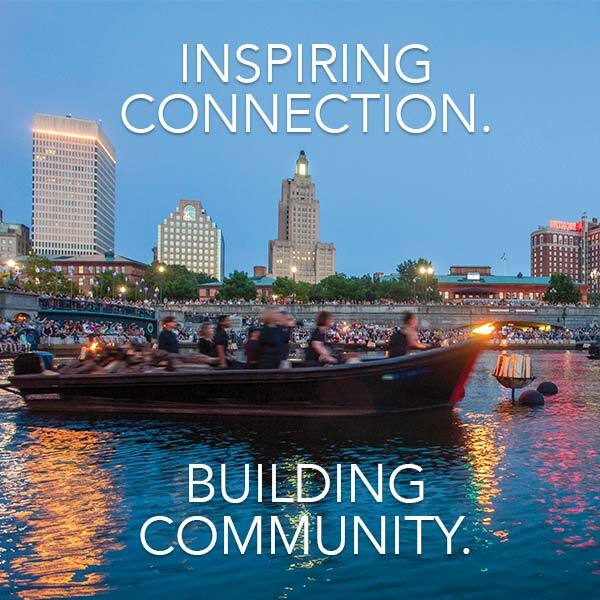 We are pleased to support WaterFire Providence® whose inspirational Waterfire sculpture transforms our downtown experience and celebrates the city’s renaissance. The Webster symbol and Webster Bank are registered in the U.S. Patent and trademark office. 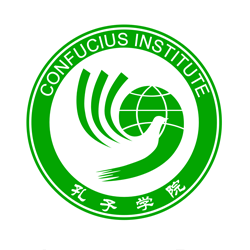 The Confucius Institute is an educational resource dedicated to benefit students, educators, individuals, and businesses in the local region through quality Chinese language and culture education. All Full Lighting WaterFire installations light up over eighty braziers from Waterplace Park to Memorial/South Main Street Park. Lighting occurs shortly after sunset and the event continues until just past midnight. Please check this page frequently for updated information. Updated 9/26/14. The soundtrack listing for this event will be available soon. Created in the mid-18th century “for the benefit of all,” this colonial thoroughfare shows off an enviable collection of 18th and 19th century wood-frame houses. Although the street gives the appearance of being a museum mile, it is actually a vital urban neighborhood enhanced by on-going preservation efforts since the 1950s. For more information or to make reservations, please contact Barbara Barnes at 401-273-7507 x362 or bbarnes@rihs.org. The WaterFire Merchandise Store on Canal Street. Photo by Jennifer Bedford. WaterFire Providence lapel pins, photo by Jennifer Bonin. The WaterFire Store on Canal Street is open for business. Stop in and buy a t-shirt, hoodie, poster, magnet, pendants and much more to help support WaterFire and keep the fires burning. Also make sure to check out the Photos of WaterFire tent on Washington Street. This tent will have matted photo prints, featuring the work of our Volunteer Photographers; WaterFire Providence postcards; large format photo posters; and silk screen prints by local artists. The WaterFire Arts Festival Plaza on Washington Street. Photo by Jennifer Bedford. 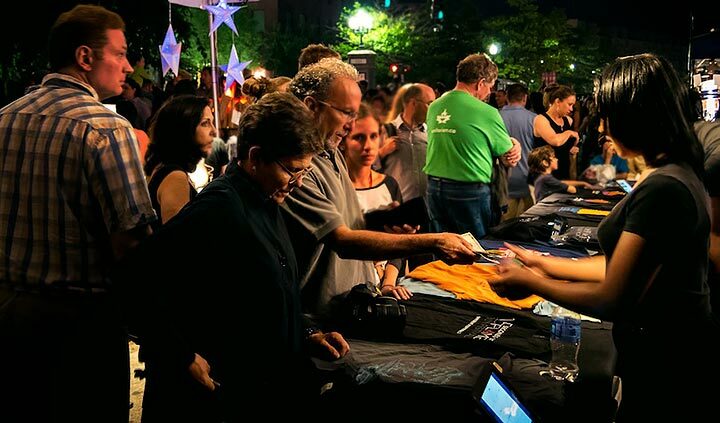 Located on Washington Street in the heart of the WaterFire installation, the Arts Festival Plaza is a showcase for local artists and crafts-people. 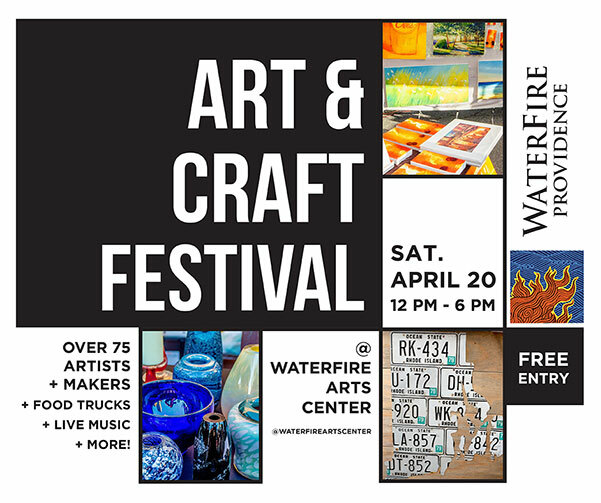 From photography and sculpture, paintings and hand-crafted ceramics, to jewelry and specialty textiles, the WaterFire Arts Festival Plaza features a wide range of locally crafted artisan wares to exhibit for sale to WaterFire’s visitors. A Celebration of Chinese Culture. Photo by Jeffrey Stolzberg. 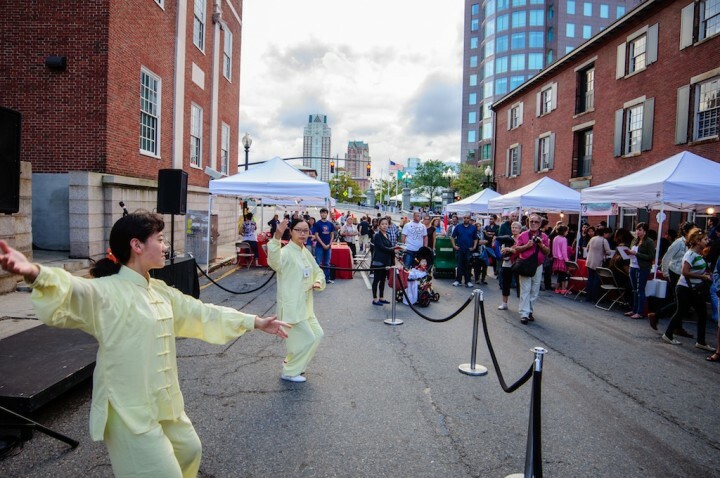 5:00 p.m. – 10:00 p.m.: WaterFire guests are encouraged to visit Steeple Street to learn about all of the incredible facets of Chinese Culture abroad and right here in New England through interactive displays, exhibits and performances. 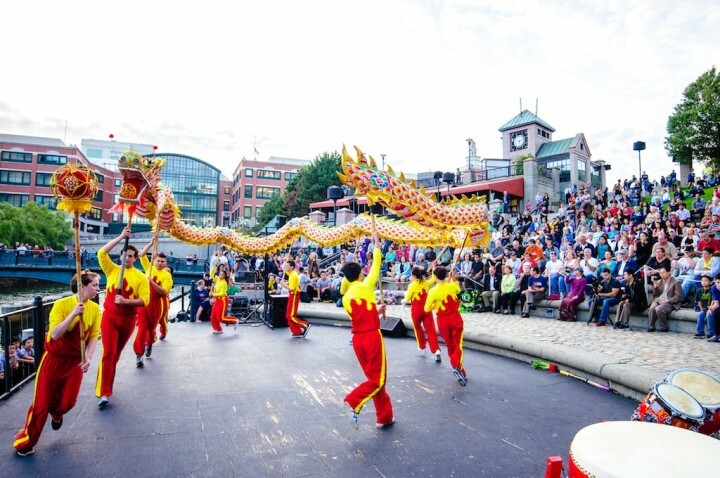 5:30 p.m. – 6:45 p.m.: Prior to lighting The Confucius Institute will be hosting very special performances highlighting Chinese culture and performance art including a Chinese Dragon Dance performance on the basin stage in Waterplace Park. Chinese Dragon performance on the Waterplace Basin Stage. Photo by Jeffrey Stolzberg. 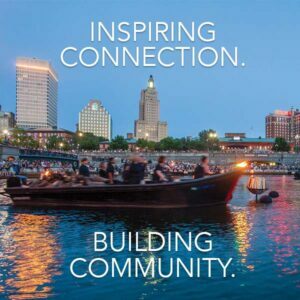 WaterFire Salutes Rhode Island Educators: The Rhode Island Department of Education (RIDE) will be recognizing the Rhode Island Teacher of the Year as well as 75 additional distinguished Rhode Island educators at WaterFire this Saturday. The commended educators will gather to be recognized in a ceremony taking place on College Street. Education Commissioner Deborah Gist will speak as well as the Teacher of the Year. Starting at 6:20 PM., teachers will be participating in a torch procession from Starry, Starry Night to the basin for the lighting of WaterFire. A very special thank you to Bananagrams and Thames & Kosmos who will be supplying each of the 75 distinguished Rhode Island Educators with full game sets for their classrooms. Benjamin Reynolds spinning fire on the bow of Prometheus, photo by John Nickerson. Benjamin Reynolds will be performing on the river starting with the lighting of the braziers on the wall in Memorial Park. They will be performing several times in various locations throughout the evening. Member volunteers from the International Association of Lighting Designers (IALD) will present LightNightT at WaterFire, a celebration of light and lighting along the Providence River Greenway. New temporary installations of LED lighting will highlight the Irish Famine Memorial and various landscape features near College Street, South Main Street, and The Greenway, adding to a magically illuminated nighttime environment that will allow visitors to appreciate the power of light and learn more about the practice of lighting design during the evening’s many festivities. We encourage you to come out and experience the creativity and sparkle of LightNightT at WaterFire 2014. I've worked at WaterFire since 2003. For the first 9 years of my career here I worked in the Production Shop learning all of the details that go into the physical production of the event. 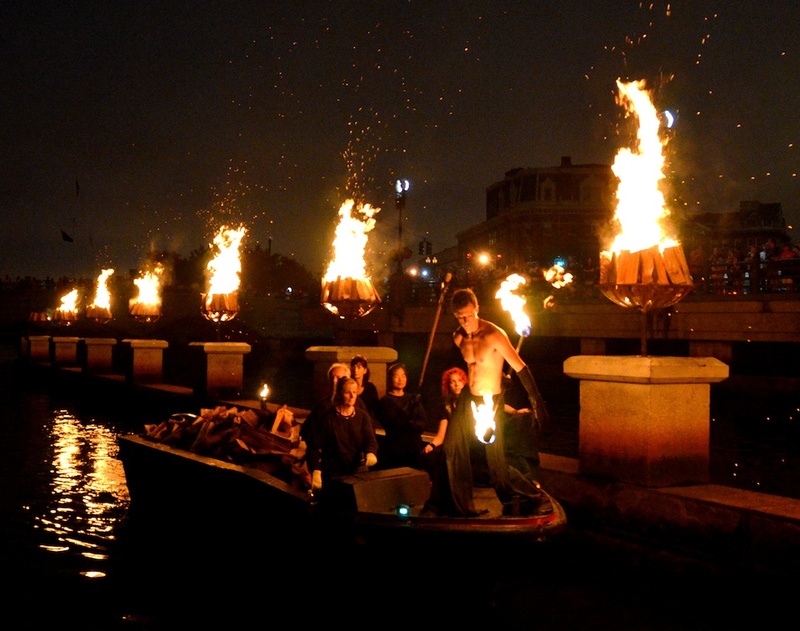 I have recently transitioned to role of managing WaterFire's social media and web presence. I find it very rewarding working to increase engagement with our supporters both locally and globally.